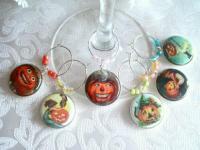 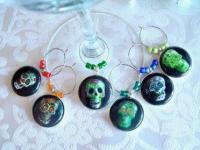 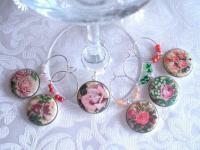 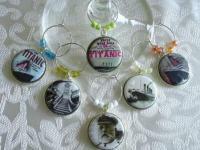 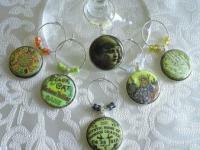 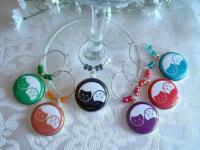 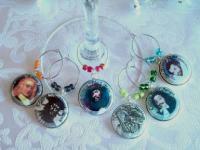 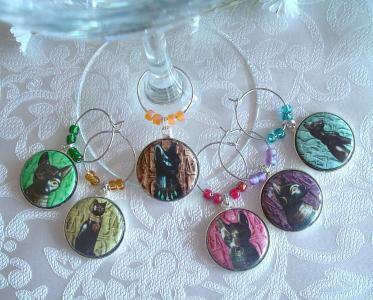 Set of 6 Bast Wine Charms are a colorful addition to any party or gathering. 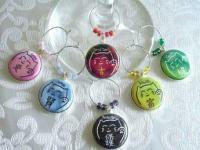 Artwork has been laser printed onto acid free paper, made into sturdy mylar covered 7/8" buttons, and are securely set in recessed brass frames which are silver plated. 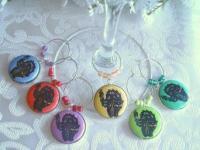 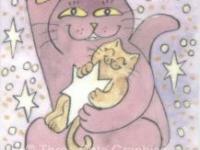 They will arrive at their destination securely packed and resting in a gift box. 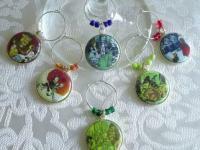 I use these charms regularly at home and they are quite durable, although they are water resistant they should never be left submerged or put into a dish washer. 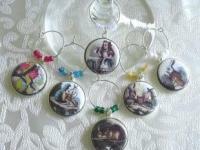 Any reflective glare in the photos does not appear on the actual charms.